Firstly, my apologies for delaying this post by more than a month. A lot of changes on the personal and professional fronts have had me occupied almost all the time. Hope you guys aren’t too disappointed with the end result. So here it is, the final chapter in the Wanderlust: Malacca series. Gosh, almost seems so theatrical (especially since I JUST watched the final Batman movie). As promised, this post is ALL about the shopping experience the heritage city has to offer. And boy is there a lot to experience. 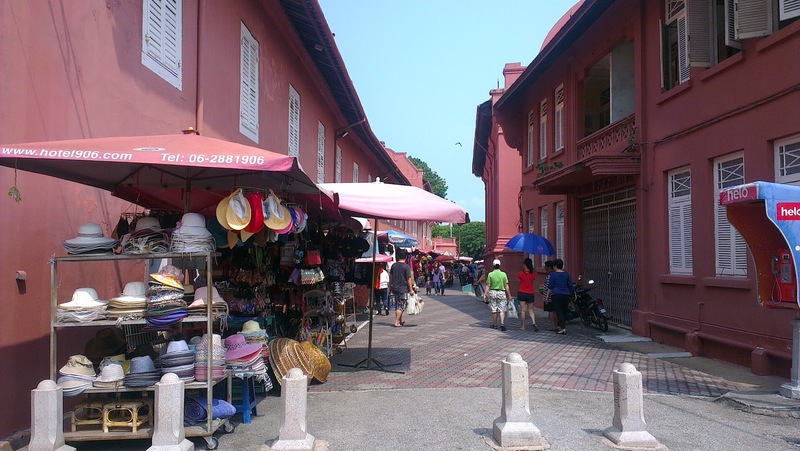 The city of Malacca has something to offer to every kind of shopper there is. From colossal shopping malls offering the latest in big-retail brands to kitschy momento stalls. You’ll probably find tourists in either location! Street side retail stalls like this one are a common sight near almost every historical landmark in the city. Selling from anything from bottled water, caps, tees, umbrellas, postcards, kitchenware and even interior decor items, these shops are clearly targeted at the average tourist and do not disappoint. Although you should be prepared to bargain since most of the prices are not written in stone and are always marked higher than expected. 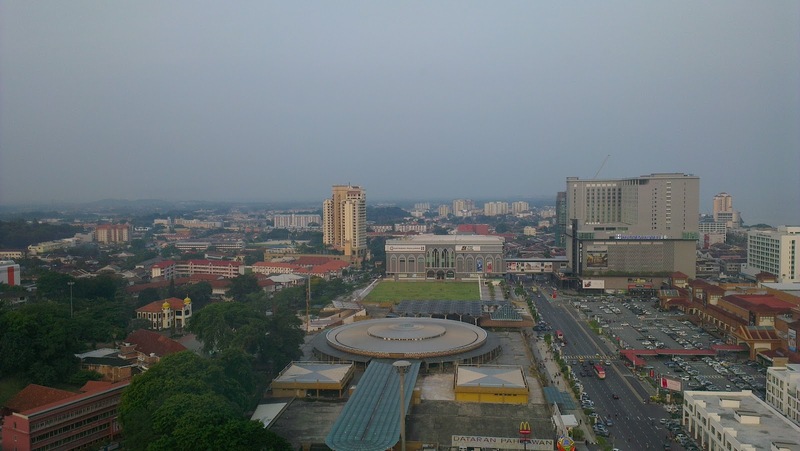 The colossal structure at the far right, the Mahkota Parade Shopping Center, and the oddly shaped circular one at the center, the Dataran Pahlawan, are two of the largest (and relatively famous) shopping malls in Malacca. Apart from the regular global apparel brands, you’ll find quite a few boutique outlets housing some quite cool casual wear. Be prepared to walk a lot, cause the two malls spread across a pretty large mass of land. And if you do get bogged down by the size, you’ll have plenty of options for some delicious grub. 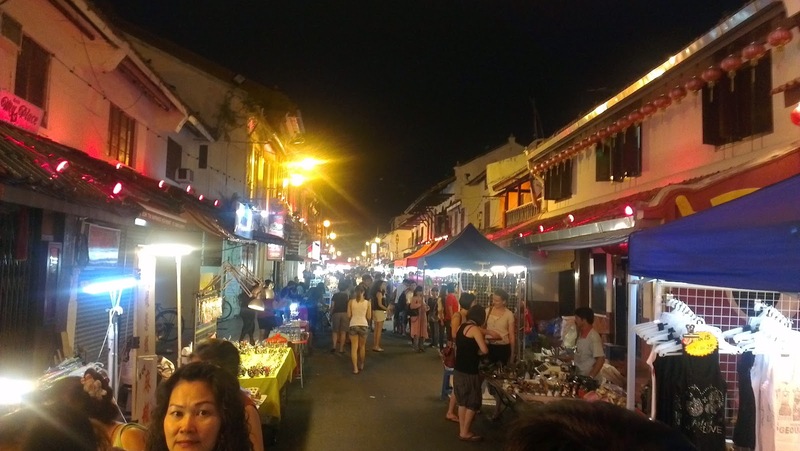 The most prominent and famous shopping destination Malacca has to offer has got to be Jonker Street. The street comes to life over weekends with innumerable stalls setup along the sidewalks. These stalls have everything from tacky keychains to designer wear. 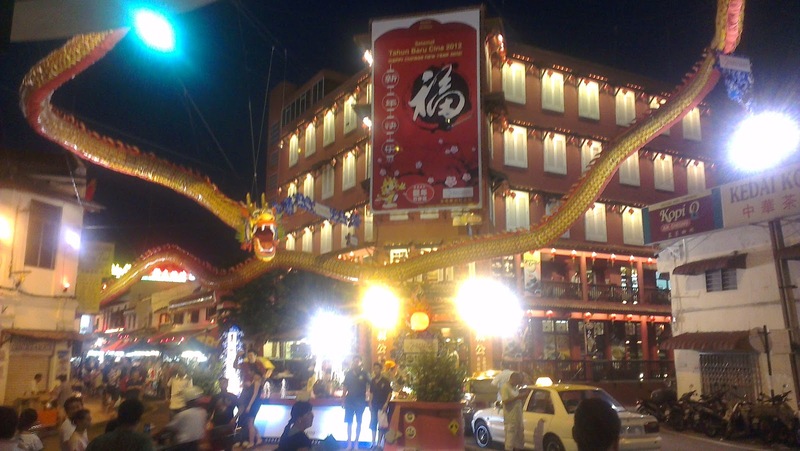 The serpentine dragon is an unmistakable landmark marking the start of Jonker Walk. Be sure to take loads of pictures of this one cause it sure does look great! 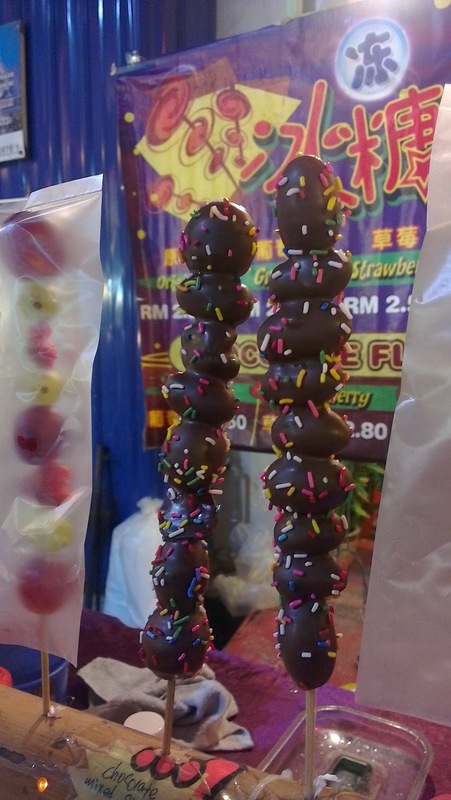 Street food like these candied fruits (they’re strawberries dipped in delicious chocolate sauce) are a common sight throughout Jonker Walk. Other options include flavored popsicles, satays, popcorn and even spiral cut potato fires. They make the perfect on-the-go snack whilst you wander around bargain hunting. And they don’t even put a dent in your wallet. Most of the items I mentioned are available for less than 5 Ringgits! So chomp away! 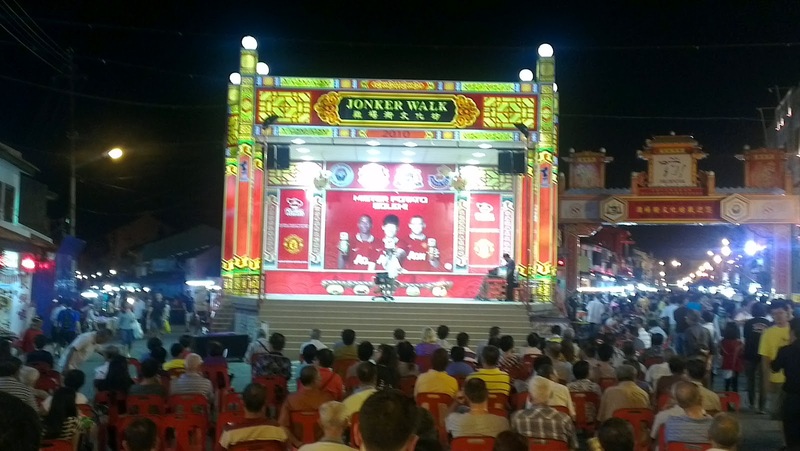 Towards the other end of Jonker Walk is this community stage which is more or less like an open mic where locals and I suspect even tourists can showcase their vocal skills and even shake a leg. And even if you’re not standing up on stage, take a break and enjoy the lively performance by the some of the elderly locals here. You’re bound to be leaving with a smile on your face. After all the walking (and shopping) you’ll be spoilt for choices when it is time to dine. 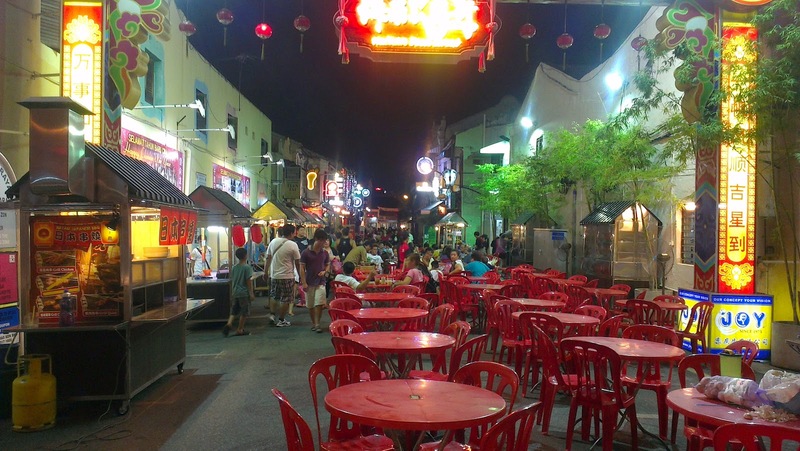 Hawker stalls are omnipresent and provide delicious meals for a very reasonable price. If you’re more comfortable with a roof over your table, then head to one of the many lounges, restaurants and bars. 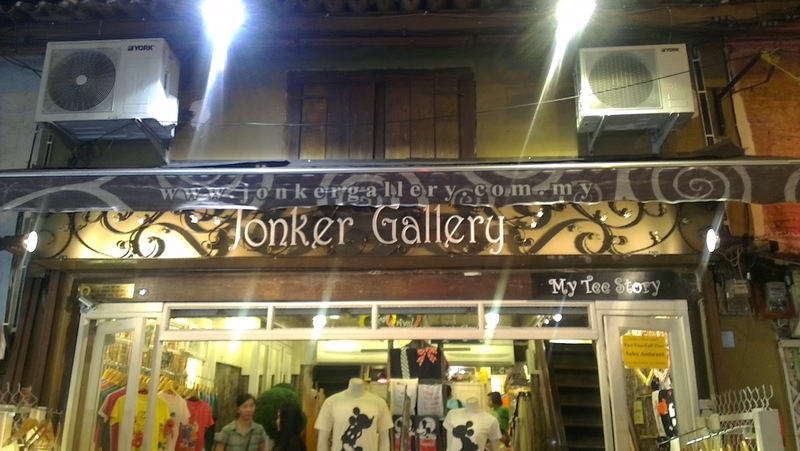 One of the more upmarket places to shop along Jonker Walk, the Jonker Gallery offers great fashion buys albeit not very cheap when compared to prices elsewhere, but still a decent bargain. And that folks marks the end to the rather long series of posts in the Wanderlust section for Malacca. Till the next journey ciao!